Why go outside when you can read books? 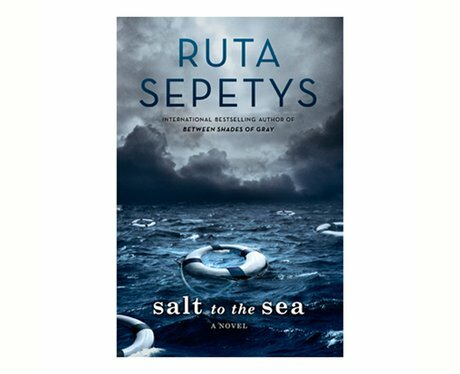 Inspired by the Wilhelm Gustloff tragedy, Salt of the Sea focuses on the stories of four refugees, whose lives converge in unexpected ways. This is on the heavier side of YA fare, so probably don't read it while wearing mascara. A highly anticipated follow up to Sepetys' soul-destroying 2011 debut, Between Shades of Gray. Out: Feb 2nd. Kill the Boyband is about a group of superfans, who *accidentally* kidnap a member of their fave boyband, The Ruperts (they're called The Ruperts because all members are called Rupert). Besides being highly relevant to our interests (#LarryLives), it's also a funny, easy and fantastically written read. Out: Feb 23rd. This story about outcast Parker Santé and the mysterious silver-haired girl, who is about to change his life forever. It sounds like a classic Manic Pixie trope, but isn't. Probably the most charming story you'll read this month. Out Feb 23rd.